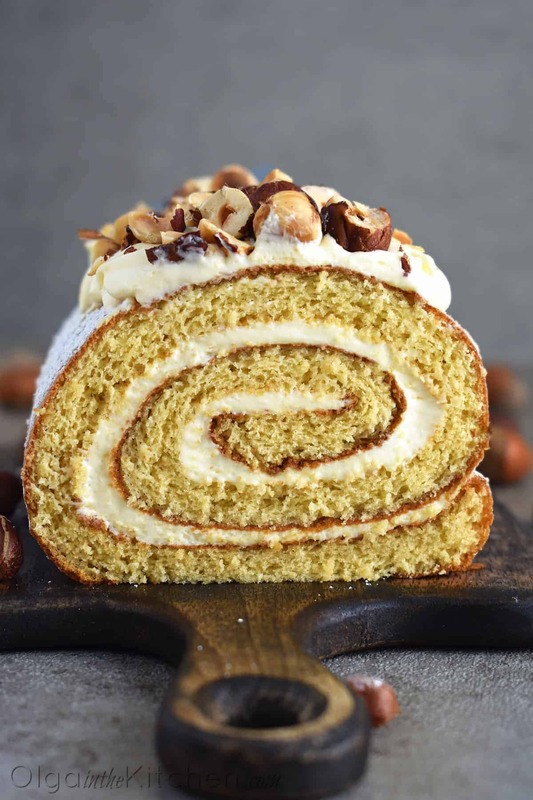 The BEST fluffy and moist Honey Cake Roll that is easier than any cake, filled with scrumptious sweetened condensed milk frosting and topped with hazelnuts for a hint of nutty flavor. This dessert is a family staple and such a crowd-pleaser! 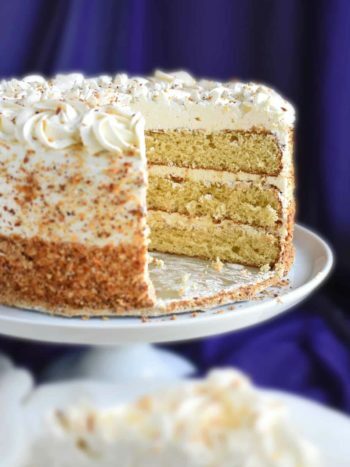 Other honey dessert recipes you might like: Honey Cake, Honey Babka, and Honey Cupcakes. 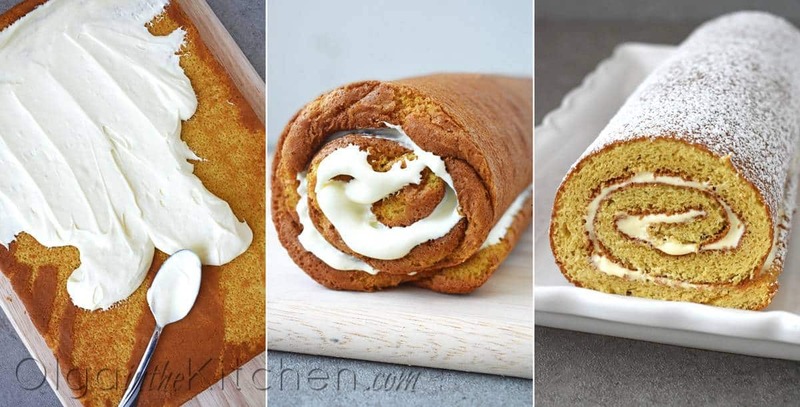 This cake roll recipe is an oldie! It had been in our family for over a decade. 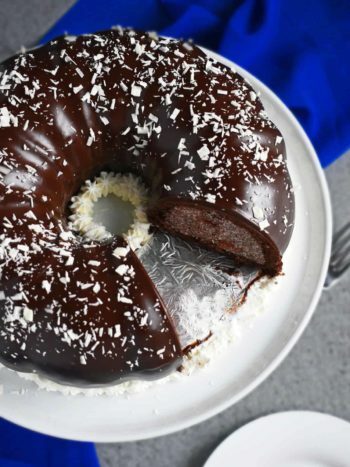 It’s fluffy, moist and literally melts in your mouth. 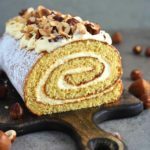 The cake roll has the most common ingredients and the condensed milk frosting is so simple to make. Whenever I feel like eating cake, I quickly whip up this version, frost and enjoy couple hours later. My family are huge honey fans. We love honey desserts and would choose them anytime over other flavors. 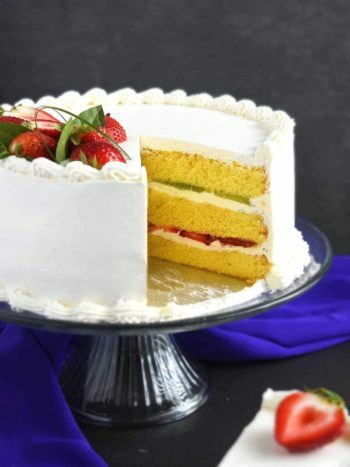 For a little fun twist, thinly slice fresh kiwi and/or strawberries and single-layer over the frosting. Cake rolls are the easier and faster version of cake. 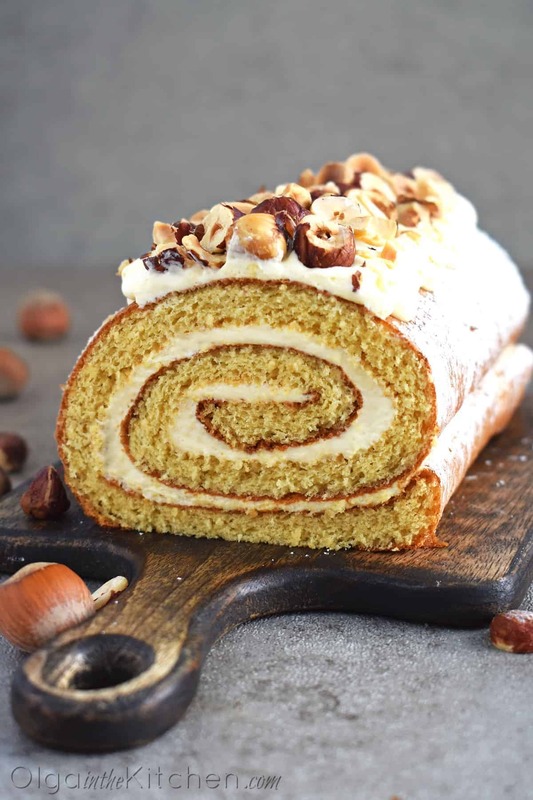 A regular cake usually takes hours to bake, frost and decorate, while cake roll can take as little as 1 hour. Both would have the same taste, just a different shape. They can be made a day in advance and taste as good the next day. In fact, this dessert is delicious up to 3 days. Not every honey brand brings the best results in sponge cake desserts. As much as I try my best using organic foods, it’s not always the case for honey. Many times I end up using non-organic honey for baking. There are several different forms of honey: liquid, crystallized or creamed. 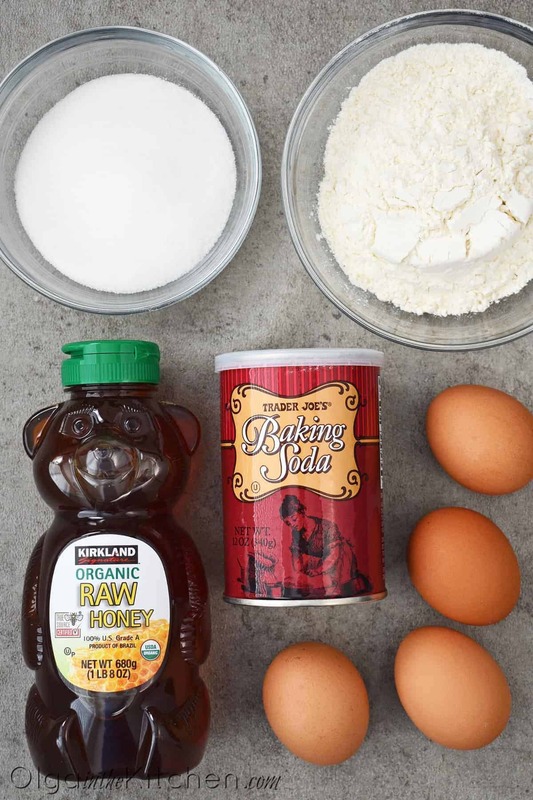 For best results, I use the organic honey from Costco in little teddy bears. Their honey is more on a thick side. 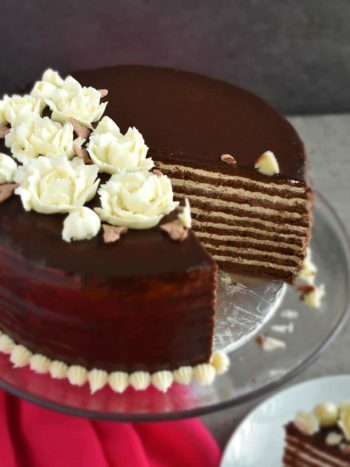 Watery honey will prevent cake from being fluffy and light. You can read more about my observations of honey under Honey Cake recipe. Sweetened Condensed Milk or Sour Cream Frosting? This dessert turns out delicious with either sweetened condensed milk or sour cream frosting. I’m aware that many people don’t like using cool whip because of the ingredients in this product. Therefore, sour cream frosting like in the Honey Cake works just as good for this cake roll. In fact, I frost it with sour cream frosting half of the time. (You can find the sour cream frosting option below). Preheat the oven to a 350°F. Line a large baking sheet (11×17) with parchment paper and set aside. In a small bowl, microwave 3 tbsp honey for 40-60 seconds until it starts bubbling and rising. As soon as you take the honey out of microwave, stir in 1/4 tsp baking soda until mixture is fluffy (it will rise). Set aside to cool and stir occasionally while you prepare the next step. 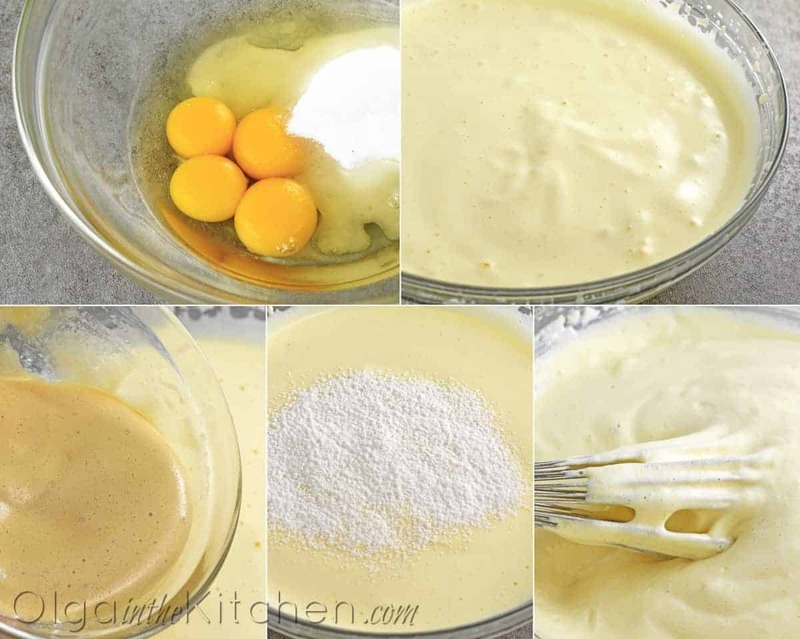 In a large bowl, using a mixer, beat 4 large eggs and 1/2 cup granulated sugar on high for 8-10 minutes until eggs are light in color and fluffy. Add the honey mixture and beat on low for 30 seconds. Sift 3/4 cup all-purpose flour in thirds into the batter, whisking gently by hand using a whisk or fork until flour is incorporated and no lumps of flour remain. (Do not over-mix or you will deflate the batter and the cake texture will turn out rough). Pour all the batter at once into the prepared baking sheet and level to the edges with a spatula. Bake for 13 mins, until the toothpick inserted comes out clean. Remove from oven and right away run a thin edged spatula around edges of your cake to loosen from baking sheet. While cake is hot**, invert it face down onto a clean piece of parchment paper (min 11x17"). 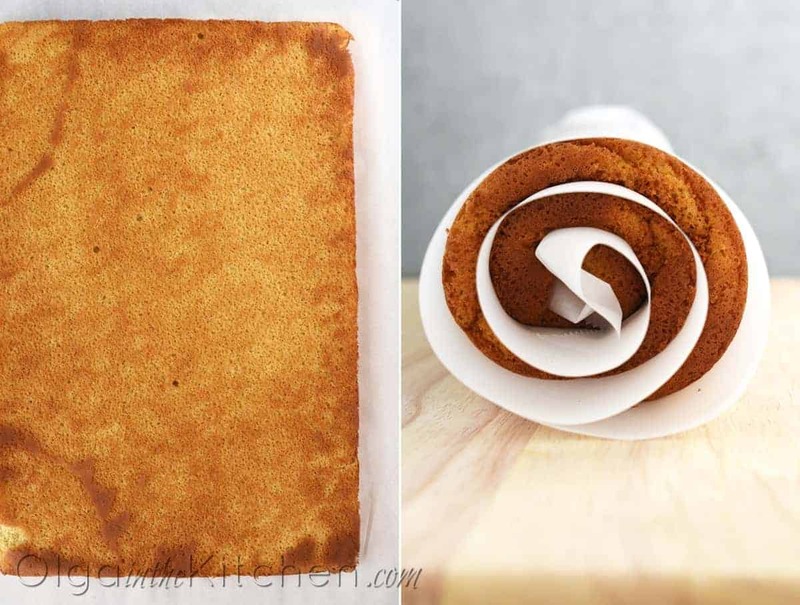 Remove parchment paper from the bottom of the cake and roll cake into parchment paper. Let cool to room temp (30-60 mins). 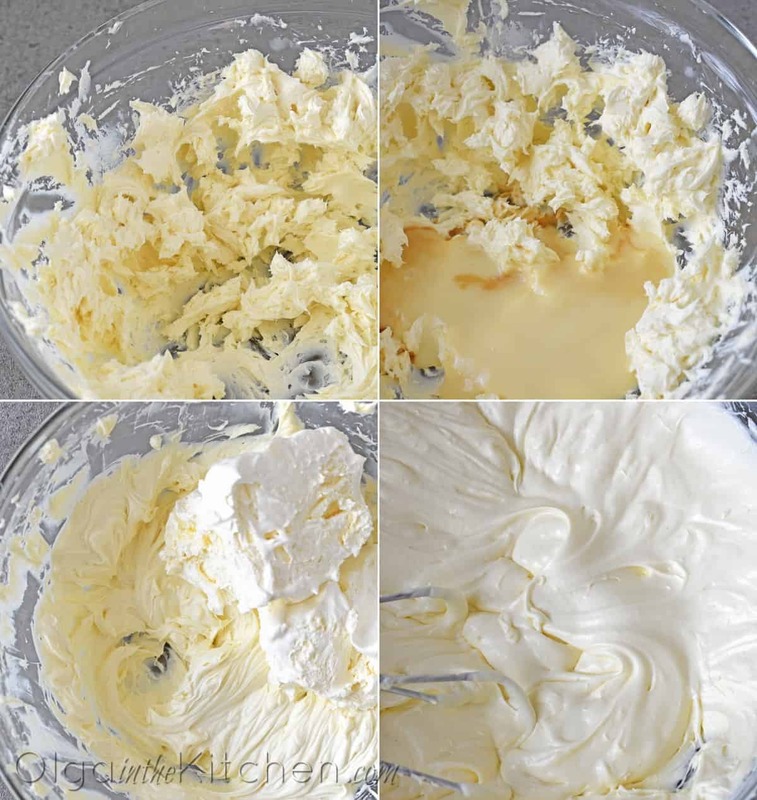 In a medium bowl, with an electric mixer, beat 8 oz cream cheese on medium-high for 1 minute. 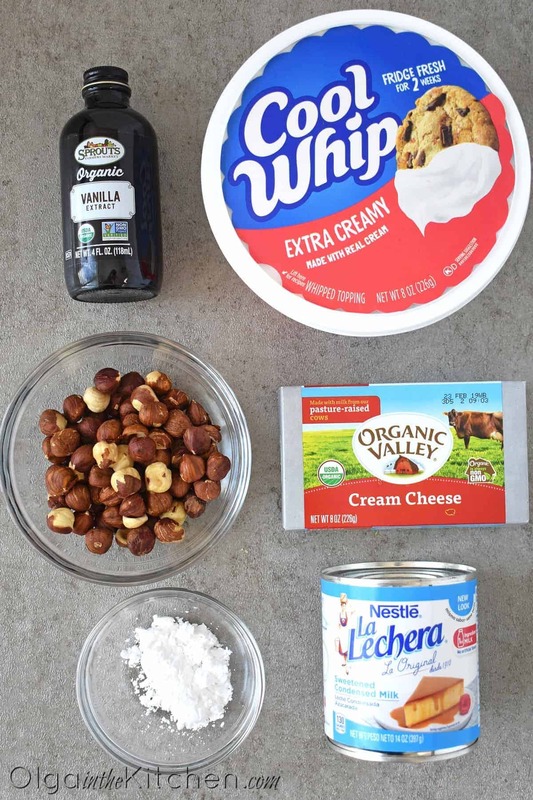 Add 1/4 cup refrigerated sweetened condensed milk and 1/4 tsp vanilla extract. Beat on medium for about 1 min. Add 4 oz frozen cool whip and beat on high for about 3 minutes until frosting is smooth. (Frosting will not be thick like buttercream, but it will be thick enough to frost this cake roll). 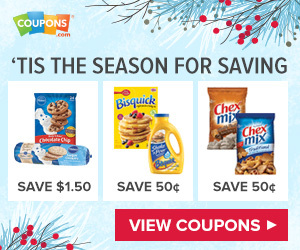 Carefully, unroll cake and loosen from parchment paper***. Put dollops of frosting over the surface and spread evenly to the edges. Roll the cake tightly in the same direction you rolled it the first time. Slice off the edges - to make it pretty. 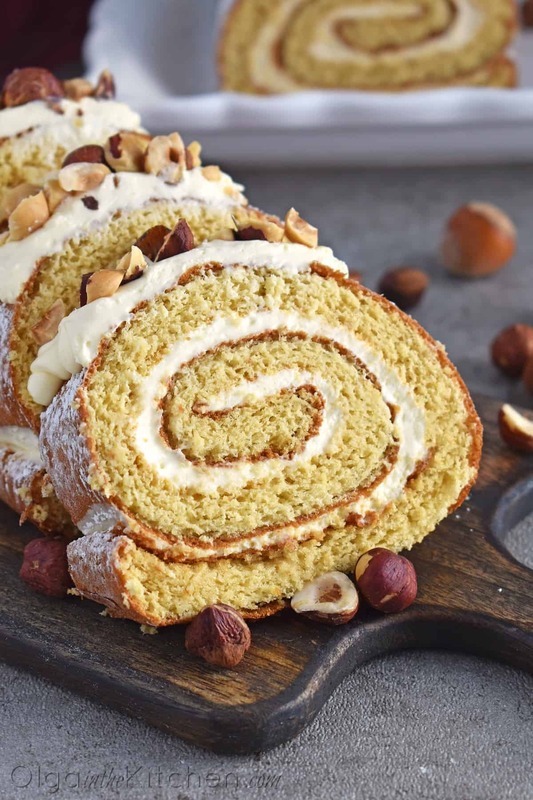 Generously dust with powdered sugar, decorate with frosting and top with toasted hazelnuts. *To toast hazelnuts: preheat the oven to a 350°F. Place hazelnuts onto baking sheet (no parchment paper needed) and bake for 8-10 mins. **To prevent cracks in cake roll, it should be rolled in parchment paper right after it comes out of oven. 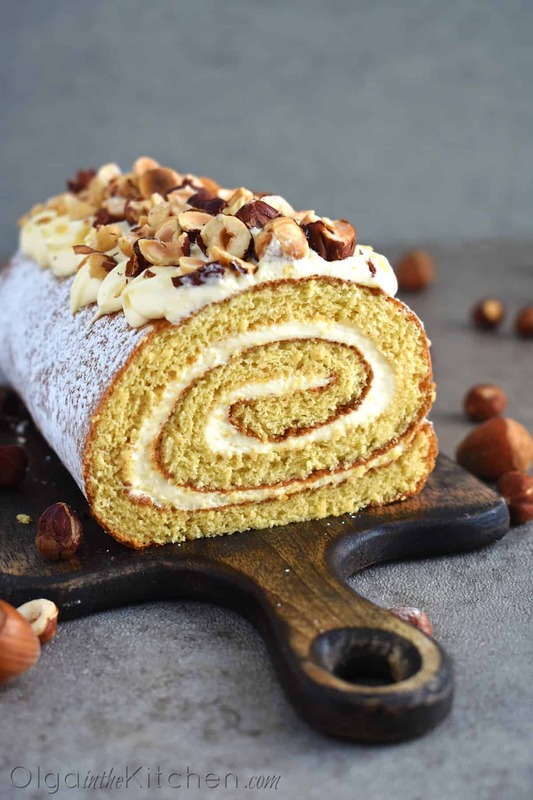 ***If you're not planning to decorate cake roll, you might consider dusting powdered sugar onto parchment paper when you roll the cake roll first time (from the oven). Otherwise it will stick to the parchment paper and the interior will have peeled off spots. Excellent recipe. Mouth watering. I did with sour cream frosting and it turned out so delicious, I’m saving this recipe. Sour cream frosting is the perfect choice!! Made this cake roll as soon as you posted and oh my, it turned out amazing!!! Thanks for another fantastic dessert recipe! Olga this cake roll turned out soooo DELICIOUS! I made 2 of these for my guests tonight and they are such a hit. Thank you thank you!! !